Workbot for Slack just got better. As Slack users ourselves, we know hundreds of URLs get posted in the chat channels every day- the URLs of websites, URLs from file sharing services and URLs from various business apps you use in for everyday operations like Salesforce, Github, JIRA, Zendesk and more. So far Slack does a great job of interpreting the URLs from websites in order to show a preview of the webpage or prompting you to import the file if it’s a link from say, Dropbox or Google Drive. However, application URLs have been left behind. Application URLs have been left behind. Now, Workbot can interpret URLs from apps and automatically display relevant information from applications like Salesforce, Github, JIRA and Zendesk. Getting the information from an application URL can be a bit tricky. In order for Slack to access information from inside of an app, it must have connectivity to the app in the form of an integration so that it can use the APIs to pull the relevant data. Furthermore, getting data from highly customized apps like Salesforce and JIRA is even more challenging as they have many custom fields that vary from customer to customer. That’s where Workbot for Slack comes in. Now, Workbot will be able to interpret URLs from the apps it supports and automatically display the relevant information from the URL right into chat. At launch, links from Salesforce and Github will be supported, followed by JIRA, Zendesk and the other key apps. When users post a URL from an app, Workbot can understand the URL, its intent, and will automatically ask the user if they want to pull the information straight into Slack. For example, Workbot can understand that a Salesforce URL is a customer opportunity and will show the relevant information regarding the opportunity right in the chat message, if the user so desires. It then intelligently prompts the user on possible next steps based on the displayed message. The app URL interpretation is available today for apps like Salesforce and Github, and will be expanded to support JIRA, Zendesk and Workato’s full library of apps. The URL interpretation is implemented as a real-time trigger called “New URL Mention” in the Workbot app. To make Workbot interpret your app URLs, you can simply write a Workato Recipe for the apps you want connected to Slack. You can get creative too – you can completely change what fields to display or even start a workflow when a specific type of URL is posted. In addition to using Workbot to interpret app links, starting today, Workato customers will be able to manage their Workato recipes from Workbot using a new app called “Workato Admin.” Customers have commonly used Workbot to automate DevOps and to monitor, start and stop various applications, servers and virtual machines. 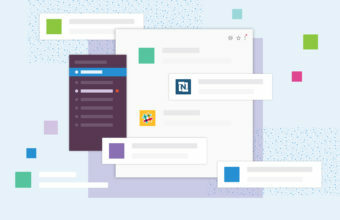 With Workato Admin, Workato customers are able to administrate and monitor all their integrations, including receiving error notifications, right from Slack.